It’s the dog days of summer. 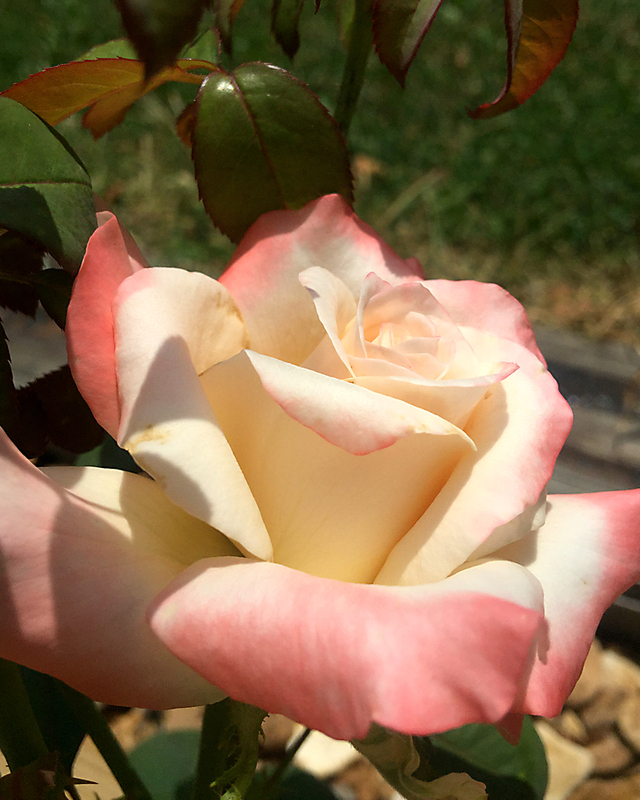 Excessive heat can create conditions for our roses to produce smaller blooms and stunted growth to preserve water. Many gardeners don’t realize that right now is the time to prepare for a glorious fall rose display. September, October, November and even up until Christmas, fall is perfect throughout much of the country to spend time in your rose garden. You can enjoy the fruits of your labor, contemplate strategies for expansion and begin to winterize your roses. The cooler temperatures of fall create a glorious canvas for the fall rose show. 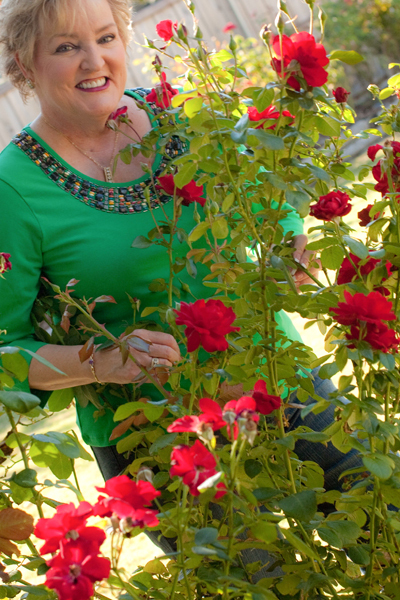 It’s time now to begin the process of cutting back roses for your fall bloom. ‘Kimberlina’, a ‘Floribunda of the Year’ 2009 winner is such a spectacular rose in the fall I chose it to show you how to cut back your roses to create a spectacular fall bloom. Cooler temperatures in fall create a palette of colors that makes your roses look doubly magnificent. From Wisconsin to Texas I’ve seen roses continue to bloom through the holidays. 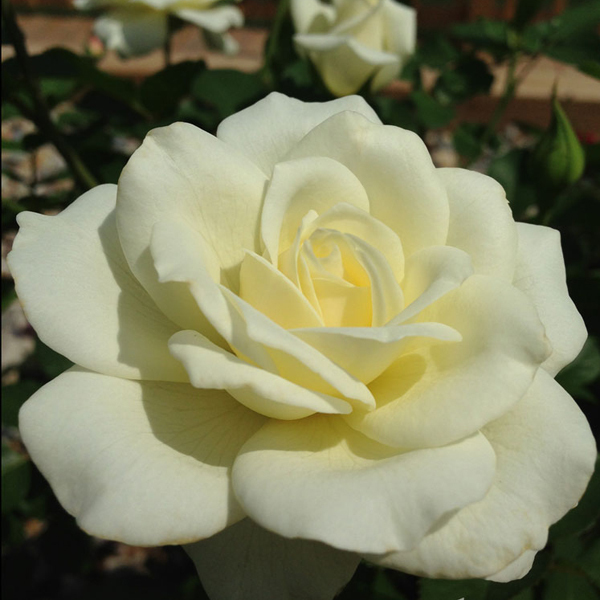 Roses can tolerate 3 days of hard frost of temperatures below 21 degrees before they are fully dormant for the season. So you can plan on roses for your bouquets for the Thanksgiving table in Illinois, maybe even Wisconsin. September is time to determine if there are still any American Rose Society rose shows in the area you may want to exhibit at as well. 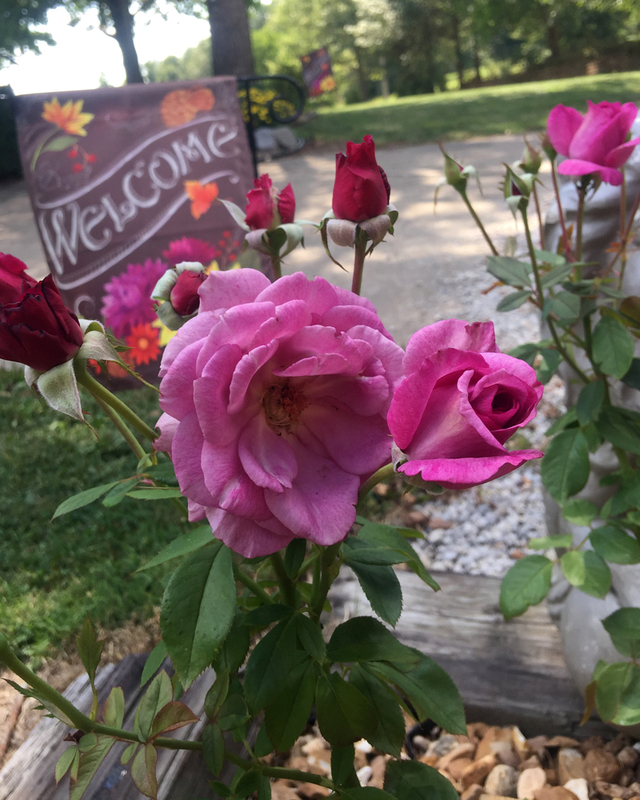 When roses (and virtually any other plant) reach the point of excessive water stress, they don’t “feed,” nor do they try to grow, they simply endure the heat to remain alive. 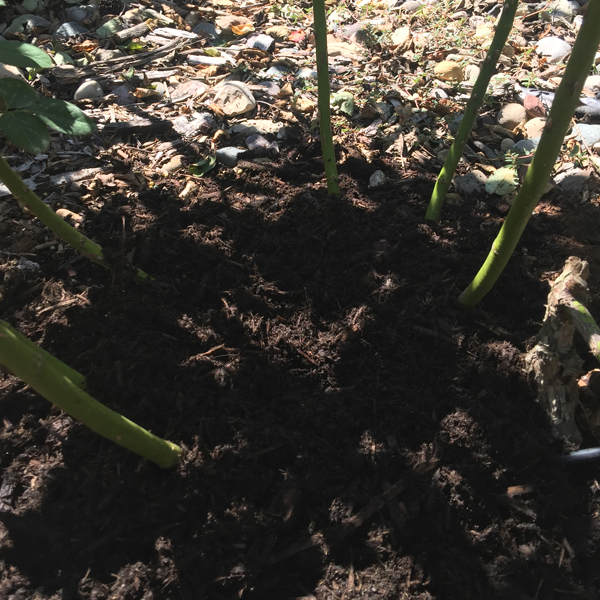 That’s why even when you’re watering daily with what feels like excessive water amounts, many rose bushes will begin shedding their leaves to reduce their water stress. Many folks mistakenly think that dropping of leaves means their plant may be dying or they have “done something wrong.” Let’s dispel the myth. This is nature’s way of plant preservation during excessive heat. Since roses transpire through their foliage, dropping some of their leaves helps minimize water loss. This slows and can literally stop the flow of sap from the roots upward, so no food is taken in. Remember cutting back for fall to leave some foliage because roses feed through their leaves. Nature demands balance. Even in times of extreme heat I have seen my roses continue to remain pretty with just smaller blooms and less frequent bloom cycles. Roses seem to go into almost a dormancy state to conserve energy and water during the hottest part of summer. Order fall rose deals and companion plants like clematis specials that you can plant now. A good rule of thumb is to prune your rose bush about one-third to one-half their height. Prune out dead wood. Leave the strong hardy canes. Just deadhead your new rose bushes. Follow this guide to a spectacular fall rose bloom and you can enjoy autumn in your garden and your roses will enter into winter dormancy the better for it as stronger plants. * Treatment: According to author and horticultural professor Jeff Gillman, who has conducted extensive research on black spot remedies, a spray composed of one part cow’s milk* and two parts water is the best answer to the disease. When applied weekly, the solution controls black spot as well as any synthetic fungicide, including Chlorotalonil. Gillman says he thinks it’s the lactoferrin that milk contains that makes it effective against black spot. Lactoferrin also helps to fight diseases in people. *any fat content you prefer. Rice, soy, and almond milk will have no affect on roses. ANOTHER UPDATE: 2/3 water and 1/3 milk solution works on black spot. The solution also acts as a deer repellent according to the West Virginia Botanical Garden. I haven’t tried it with the raccoons as of yet, but I sure intend to try it. Great to have all the tips in one place! Enjoy your fall bloom! It has to carry us for several months!